Hello and welcome to my blog. I have another Christmas card for you today. 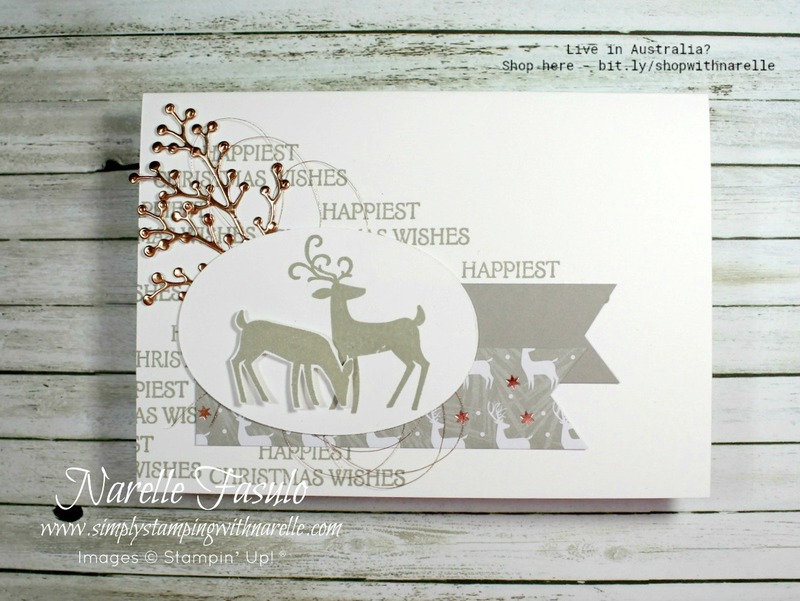 This one is made using the wonderful Dashing Deer products. A very different colour scheme to what I normally use. But I love it. The gray and white tones on some of the papers in the Joyous Noel Specialty Designer Series Paper was the inspiration for this card. 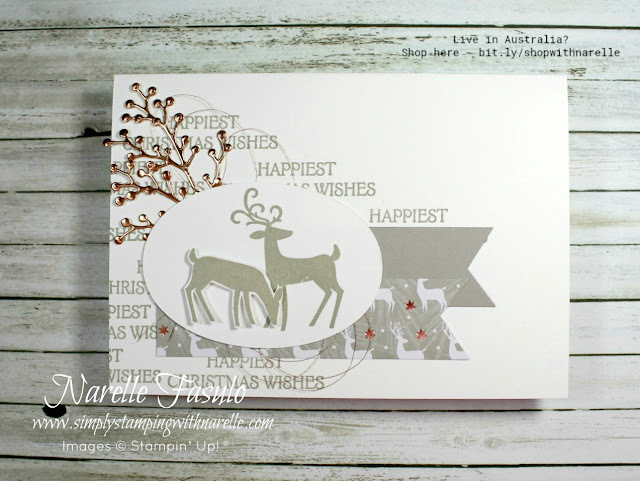 I love the paper you can see on this card that has the white deers on it. The copper stars prompted the use of the copper foil sheet for an accent. Overall, I think this turned out quite nice.